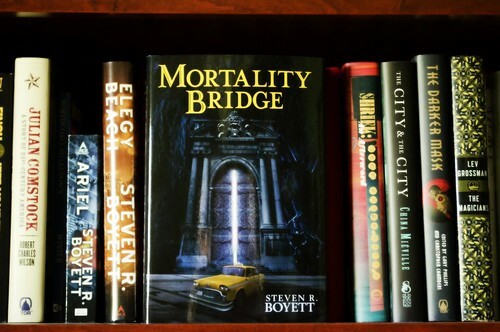 Several months ago I got a sneak peek at Steven Boyett’s newest novel, Mortality Bridge, and I was excited but also a little apprehensive. Excited because I’ve long admired Steven as a writer — he wrote a book as a teenager (Ariel) that most people would have killed to have been able to write at twice that age (or heck, at any age) — but apprehensive because Mortality Bridge was a rock and roll fantasy story, and I’ve read enough of those to know that “rock and roll fantasy” is an easy target to aim for, and then to miss, widely, failing both components miserably. And then I started reading and realized that my apprehension was misplaced. Mortality Bridge has rock and roll in it (in the form of Niko, a musician who signed a monkey’s paw of a contract in exchange for fame) and it has fantasy in it (in the form of a journey into Hell), but the book isn’t about either. It’s about other things entirely — love, regret, and redemption among them — and that makes the difference. Also to the point, Steven’s natural facility for writing spookily well has been tempered by the fact he’s a couple decades on from being that hotshot teen; he’s lived enough that when he writes about love, regret and redemption, you get the idea he’s not writing from theory. I don’t expect Mortality Bridge is autobiographical in any real sense, but it’s a book of someone who’s been around the block, and down a couple of the less fun alleys on that block as well. I won’t go into the overall plot the story except to say that you’ve seen elements of it before, and that’s sort of the point — the difference, both for Niko as a character and for the reader, lies in the details. Steve does a really excellent job walking a line between melancholy and absurdity, between horror and humor and between the things you think you’re going to experience here and the things he surprises you with. Even with my apprehension I knew I was probably going to like this book. I wasn’t expecting how much it affected me. Steve will be on Whatever in July as part of the Big Idea, to talk to you a little about Mortality Bridge, but I wanted to get my own personal recommendation out there first. I happily gave a blurb to the book, which reads: “Luminously tragic, darkly funny, and deeply moving, all in turns and sometimes all at once. Boyett is one of the very few writers who will make you eager to go into Hell, and not worry about whether you return.” It’s also been glowingly reviewed by Publishers Weekly, which gave it a starred review and noted, “Through unusual turns of phrase, heart-rending introspection, and mythic tone, Boyett explores themes of betrayal, redemption, and personal sacrifice in a tortured landscape of bedlam and pandemonium.” So it’s not just me who likes it. Mortality Bridge is out now, available as a signed, limited edition from Subterranean Press, of which 750 copies are available. It’s possible that in the future other editions might exist, but right now, this limited edition is it. 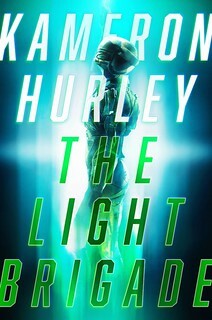 I have a copy and as with nearly all SubPress books, it looks fantastic. At $40, it’s not cheap, but I guarantee you it’s money well spent, both for the story and the physical book itself. In short: this is the good stuff, folks. Don’t miss out. If Steve’s reading this, I’m wondering if this is the book that used to have the working title “Ferry Across the Mersey,” with the black London taxis? Because John’s already making it sound awesome, and if it *is* the book I’m thinking of … oh, man, do I want this. GAH!! I am trying to make that 749 copies available, but the website is not co-operating!! so monkeys paw of a contract refers to either a horror story by Jacobs about wishes going horribly wrong or a really big knot of paper. Ok. I learned something today. time for bed. I’m actually not a huge fan of Ariel. I just couldn’t get over the fact he didn’t explain where all the people went. Everywhere was just empty. That said, I’ve read other things by Boyett and enjoyed them. Maybe I’ll try to get my paws on this as a father’s day gift. Greg: Hi! It is “Ferry Cross the Mercy” (misspelling deliberate); retitled as less referential (and I like Mortality Bridge a lot as a title, so I don’t feel awful about it). And I hope things are good for you! And John: thank you thank you thank you. And thank you. So…a Faustian bargain…is there a whiff of necromancy? I should have mentioned that anyone who’s curious can to go the Mortality Bridge website for sample chapters (online & downloadable in e-book formats) and audio, as well as background info. @Jeanne: This may sound strange, but I’m not sure how to answer your question about necromancy. I suppose you could say it’s inferred, but the truth is that all that stuff’s kind of secondary. Was able to roder this for $20 in the recent 50 percent off pre-orders sale. Very excited to read it. I own a copy of Ariel and The Architect of Sleep but this will likely be the first SRB book I actually read. I took it to mean, “You’re gonna have to pay for that. TANSTAAFL.” But creepier. Those first two chapters are pure gold, man. As barbed a hook as any I’ve encountered. As soon as it is available in a more portable format, I’m on it. Hate to also copyedit, but please help stop the nefarious spread of “sneak peak“. You didn’t see a mountain, you got an early peek at something. I’ve not read any of his previous work, but I did pre-order this from Subterranean a while back. I have a shipping notification from them a couple days ago, so maybe it’s on its way! This book sounds awesome, I definitely need to get my hands on a copy. I really enjoyed Ariel and Elegy Beach. As soon as this is available in electronic form, I’m ordering/preordering it. Looks like a good read. I’ve put it on my Amazon wish list, hopefully we’ll get a Kindle version at some point. Oh wielders of the Cutting Edge – why no ebook version? My Kindle weeps! To those asking about an e-book version of Mortality Bridge: I definitely appreciate that you want to buy the book in your preferred medium! So far Mortality Bridge is only available as a limited-edition hardcover from Subterranean Press. We hope that a mass market trade or paperback edition will be available, in which case there would be an e-book available as well. I will certainly be doing a lot of dancing and hollering if this becomes the case. Just tried to get to the website, to order the book. The connection keeps timing out. hope that means they are being overwhelmed with orders. _Ariel_ was a totally cool book. I generally don’t read books about Unicorns. As a note if you’ve read and enjoyed Ariel but not Elegy Beach you should seek out Elegy Beach. It’s the sequel to Ariel, and it is readily available. I really enjoyed it. Interesting. Book was added to the “buy buy buy, why is my wallet empty again?!”-list. @John Scalzi: I really like it when you recommend books; I would be happy to see more recommendations. 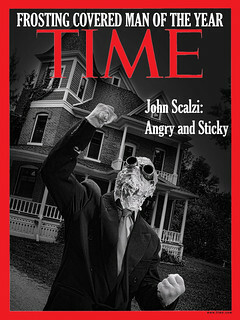 I think this is the first time I’ve seen Mr. Scalzi post a book recommendation. He must really, really like this book! Thank you, Steve for writing this book. Hell of a read! :) Thank you, John for the recommendation. This book is going to be a long standing favorite in my library. @TracyM: Thank you so much! I hope you enjoy my Big Idea column about the book later this month.